Where were you in 1986? Watching Ferris Bueller’s Day Off or Pretty in Pink? Listening to Walk Like an Egyptian, Greatest Love of All, Danger Zone, or Manic Monday? Still in high school? In that year, my mom compiled a Family Heirloom Cookbook with family and close friends’ special recipes. 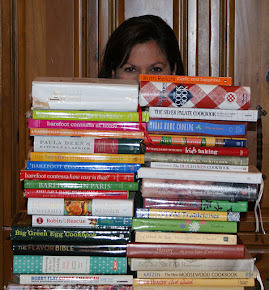 Many pages are worn, torn and smeared as it is my first cookbook. This recipe is dated 1964 and was given to my mom by her roommate and one of the women for whom I was named. Thank you Mrs. Buatt! 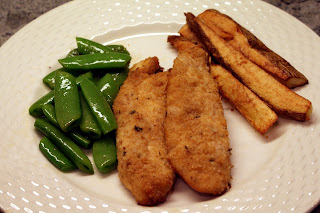 You can make this with whole or half chicken breasts or cut the chicken into strips to make chicken fingers. It’s good straight from the oven or the next day on a picnic. Mix ingredients 2-6 in a bowl (depending on the quantity of chicken and/or breasts vs tenders, you will learn to adjust the quantity of crust (#2-6) - you will need more for tenders (greater surface area) and most likely you can use half the recipe above if you are cooking a few breasts). Melt butter in the microwave. Dip chicken pieces in the melted butter and then roll in bread crumb mix. Place in a shallow, greased (i.e., with Pam) pan. If you wish, you can sprinkle with remaining butter and bread crumbs. Cook uncovered for 30-45 minutes in a 375 degree oven. The time will depend on the thickness of the chicken - less time for the tenders, more time for a full breast (use your handy meat thermometer to check).